Every finished piece is made by hand using the finest materials available, with innovative and traditional techniques passed down by Michel Sabourin's father. The first step in his creative process is determining what method he will use to capture his subject. He may select film or other mediums. 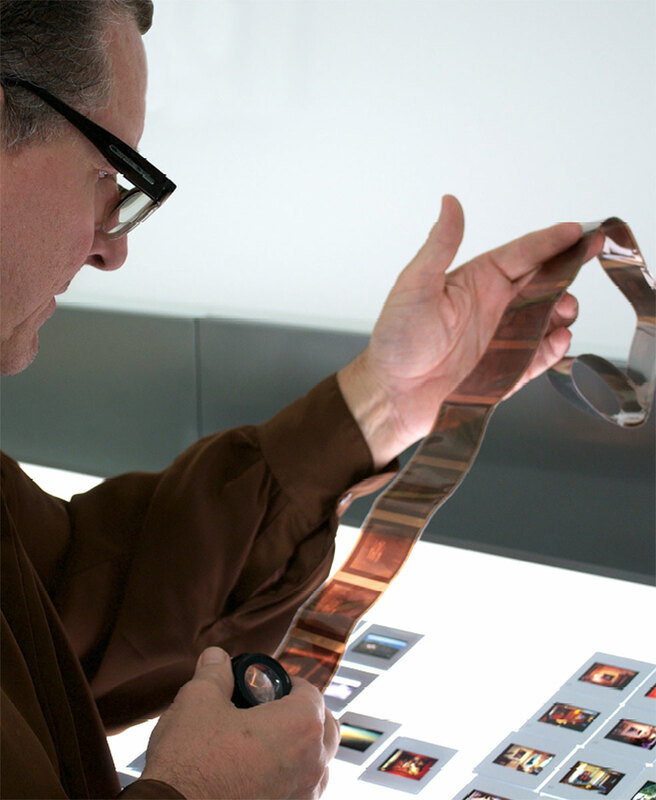 Michel's team of master craftsmen prints images onto chromogenic paper (specialized photo emulsion paper). 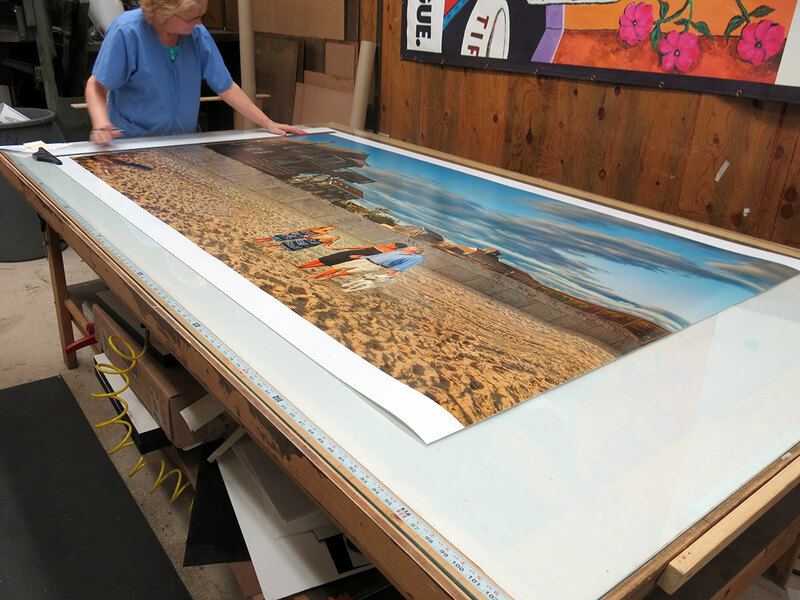 The printing process comes with responsibility for color, contrast, depth and texture, all relative to the artist's vision, which is why Michel's skill and experience are so important in the creation of each piece. Fully understanding his client's preferences, Michel recommends finishes (incorporating mixed media such as paint or other textural elements) and framing options. All mediums are explored including but not limited to: canvas, linen, fiber-based paper, charcoal, metal brushing, glass and three-dimensional sculpture. Depending on the complexity of the selected finishes, the process may require between three and six months. 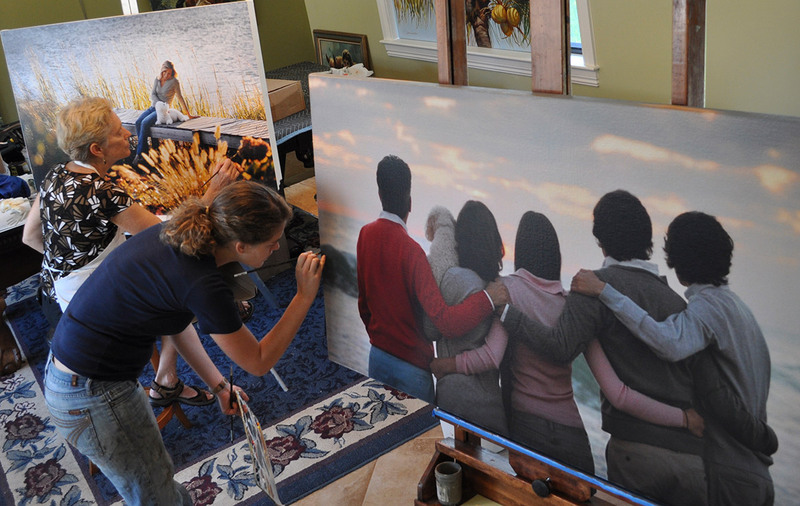 Applying oil to the canvas of Michel's pieces is a technique passed down to him from his Father, Roma Sabourin. It embellishes the piece in a way that cannot be duplicated. Paint gives dept and dimension, makes them come alive. 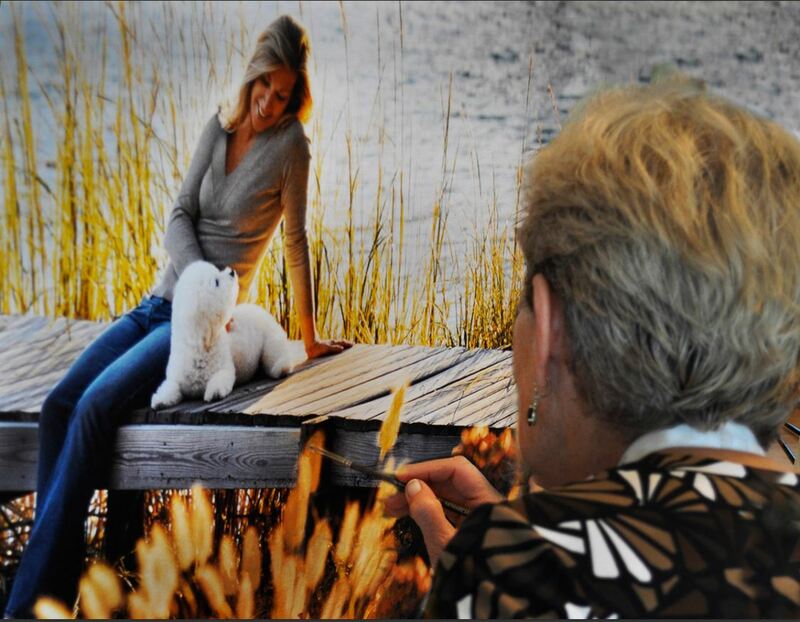 It takes care of any visual want or need of Michel or his clients, from the color of the sky or the ocean, to body sculpture and texture, etc. Michel communicates his vision to the artists he works with in order to ensure that each piece is perfect down to the last detail, whether real or imagined. 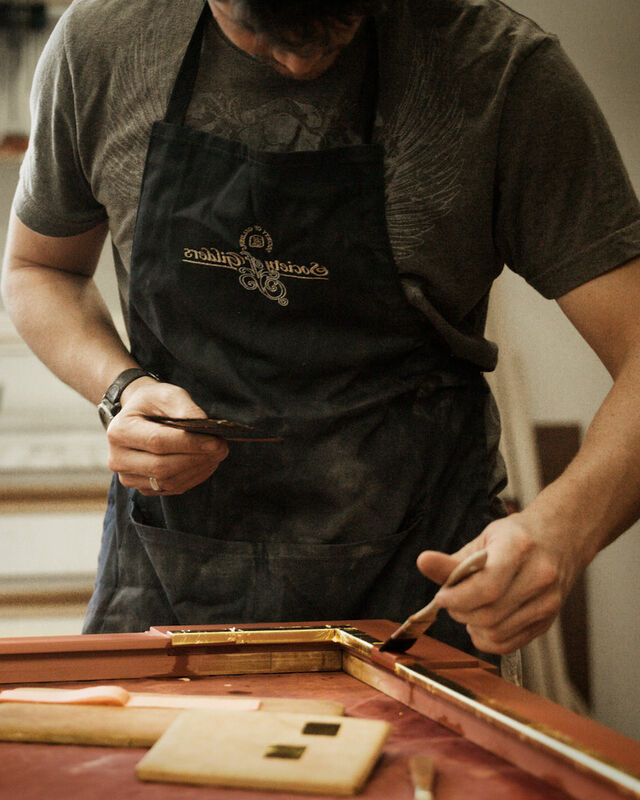 Michel's offers an exclusive collection of gilded, custom-made frames for his finished pieces in a wide variety of styles ranging from traditional to modern. The gilded technique is one of the oldest and most admired in the framing world. 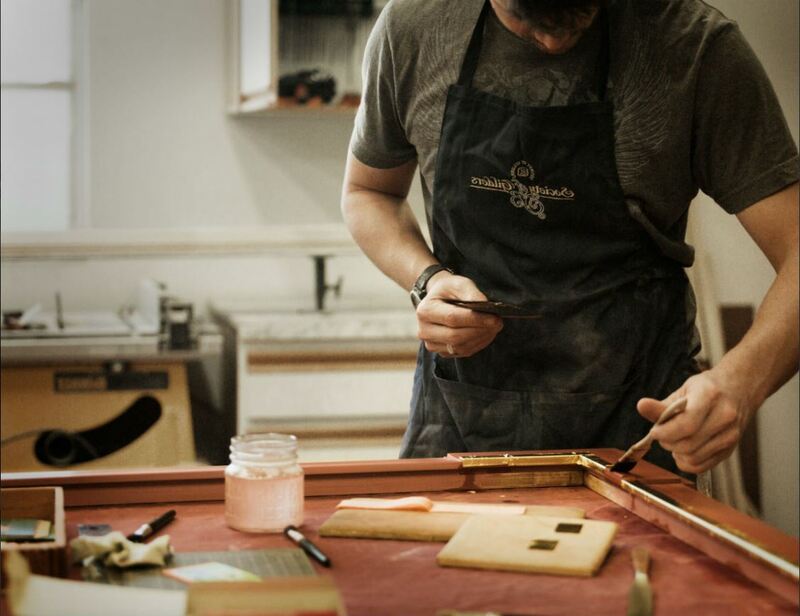 Having a gilder as part of the creative team to collaborate with, in person, is an added benefit for his clientele. This collaborative approach allows Michel to have complete freedom to create one- of-a-kind frames specifically designed for each piece and the environment in which it will be displayed.